The client requested that Nebula conduct research on BYOD vs Corporate mobile model to determine their future mobile strategy. Due to its track record and experience in this sector, Nebula was able to provide the research as well as insights from actual experience. Based on the outcome of the discussion, Nebula was requested to automate/digitalise BYOD and the mobile environment. 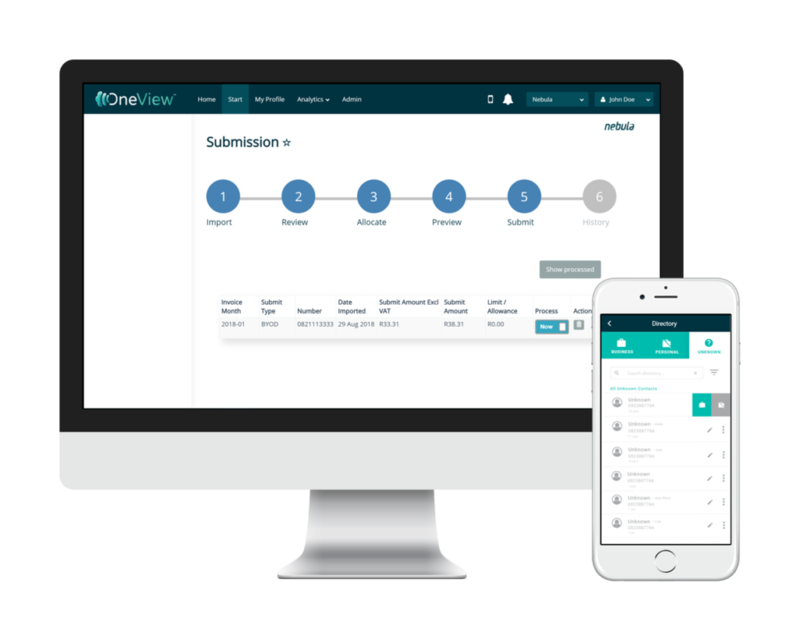 Nebula proposed OneView Mobile’s BYOD model which was implemented and deployed to 300 users. Through the engagement on BYOD, Nebula was requested to review the full telecoms environment which included fixed voice, mobile APN, and WAN. In order to review the environment, Nebula deployed OneView Full Spectrum which consists of Fixed Voice, Mobile APN, and WAN. OneView’s digital view of the telecoms landscape enabled Nebula to identify direct and indirect optimisation areas. BYOD users were empowered with a self-service portal to submit their BYOD claims. 20% decrease year-on-year in telecoms costs per branch, saving in direct fixed voice costs, which included branch footprint growth of 17%. 43% saving year-on-year in APN mobile data costs whilst the number of users increased by 15%. As accurate business calls could now be claimed, overall claim values decreased by 25%. Significant decrease in indirect cost as 300 users decrease their claim time by over 90%.